Each cutler has his own hand decoration. 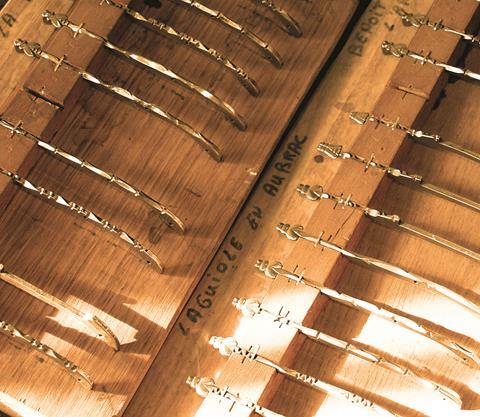 Laguiole en Aubrac crafted pieces bear the stamped signature of its cutlers on each forged spring-plate. Copyright GLOBAL CO.,LTD All Rights Reserverd.